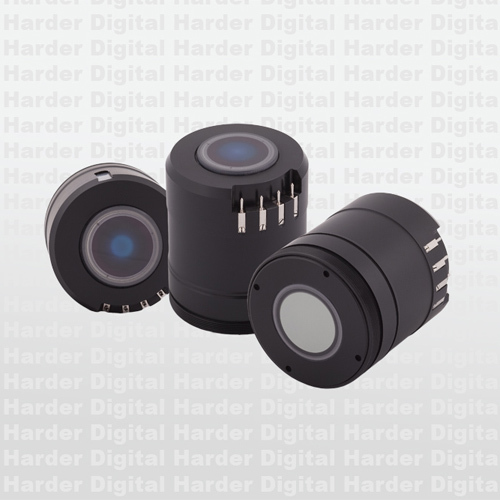 The ability of an image intensifier or night vision system to distinguish between objects close together. Image intensifier resolution is measured in line pairs per millimeter (lp/mm) while system resolution is measured in cycles per miliradian. 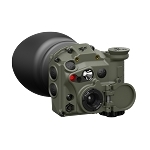 For any particular night vision system, the image intensifier resolution will remain constant while the system resolution can be affected by altering the objective or eyepiece optics by adding magnification or relay lenses. Often the resolution in the same night vision device is very different when measured at the centre of the image and at the periphery of the image. This is especially important for devices selected for photograph or video where the entire image resolution is important. Measured in line pairs per millimeter (lp/mm). 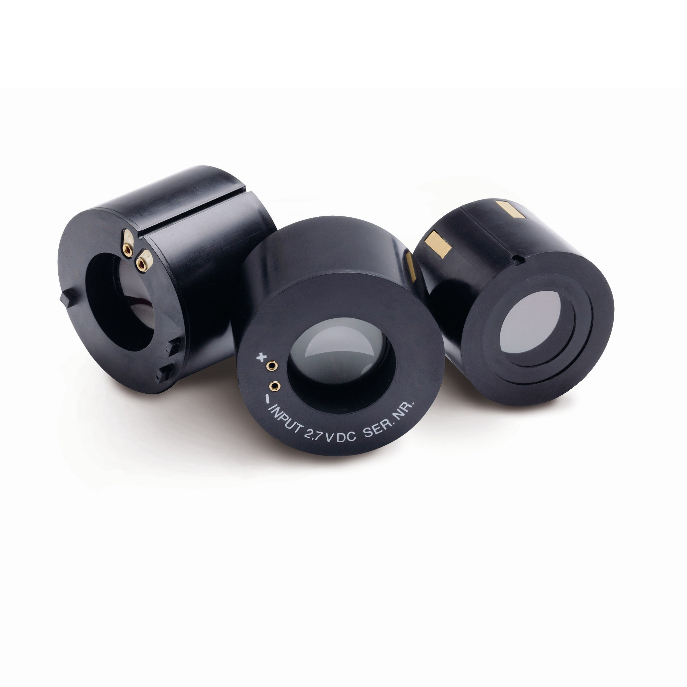 Units used to measure image intensifier resolution. Typically, the higher the line pair, the better the image resolution. Generation 3 tubes generally have a range of 64 ? 72 lp/mm, although line pair measurement does not indicate the generation of the tube. Some Generation 2+ tubes measure 28-38 lp/mm, (Gen 2+ at 54-59 lp/mm typically), while a Generation 1+ tube may have measure at 40 lp/mm. Photocathode sensitivity is a measure of how well the image intensifier tube converts light into an electronic signal so it can be amplified. The measuring units of photocathode sensitivity are micro- amps/lumen (?A/lm) or microamperes per lumen. This criterion specifies the number of electrons released by the Photocathode (PC). PC response is always measured in isolation with no amplification stage or ion barrier (film). While for most latest 3rd generation image intensifiers the photo response is in the 1800 ?A/lm, but for the latest tubes you can expect min. 2200 ?A/lm. A measure of the light signal reaching the eye divided by the perceived noise as seen by the eye. A tube?s SNR determines the low light resolution of the image tube; therefore, the higher the SNR, the better the ability of the tube to resolve objects with good contrast under low-light conditions. Because SNR is directly related to the photocathode?s sensitivity and also accounts for phosphor efficiency and MCP operating voltage, it is the best single indicator of an image intensifier?s performance. All specification only show the minimal specifications manufacturers will at least meet. Often enough the real specifications of each tube are above those by far. Photonis cheapest IIT they still sell. Here is everything that does not meet at least XD-4 specifications. Tubes will have spots or some low specifications etc. Only thing Photonis guarantees is that they will light up. Photonis better commercial tubes with usable minimal specifications. Same price as HD Gen 2+, which is why we rather offer HD Gen 2+. Good value for the price. Photonis military grade IITs. Only military grade IITs available to the public. Known for their extremely calm picture. Very good specifications, but lacking Sensitivity compared to Generation 3 tubes. Photonis Echo tubes with wide spectrum bandwidth. They see what others do not see. Echo tubes allow for more spots, but at a great value and performance. Photonis Echo+ tubes with wide spectrum bandwidth. They see what others do not see. Echo+ tubes allow for more spots, but at a great value and performance. Compared to regular Echo tubes these have a min FOM. Wide spectrum image intensifier. Exceptionally high SNR and resolution. A much wider range of the light can be used with these tubes enabling them to beat Generation 3 in most environments. Same price as the Photonis Supergen, but superior specifications. Great for rifle sights and other NVDs that are mounted on rifles. Also just a great option with a great value at a comparably low price. Very good quality for an affordable price. Specifications are mostly close to the minimal specifications, Around US Gen 3 OMNI5 from its performance/specifications. Great specifications and sensitivity usually around 2200 ?A/lm. Mostly slightly above the minimal specifications. Around US Gen 3 OMNI 6-7 from its performance/specifications. Ever heard of great OMNI7 or OMNI8 tubes? This is beyond that! Amazingly calm picture through high SNR and sensitivity usually above 2200 ?A/lm. You want the best – there you go. The best Harder manufactures. It simply doesn?t get better than these tubes. Extremely high light sensitivity, resolution and SNR. Excellent Gen 3 image intensifier tubes, available in green and white phosphor. Extremely high light sensitivity, resolution and SNR. All the best features of Harder tubes but with extra shielding for fixed and rotary wing use. These are ANVIS type Intensifier Assembly with EMI shielding meeting MIL-STD-461-E. This is nothing else then PWM but for image intensifier tubes. Offering the tube better protection and preventing resolution loss in high light conditions. By using a different kind of phosphor (P45) the image looks like a black & white picture in high definition. For some people these seem to work better than for others. Personal preference.